Game visuals: What makes a game&rsquo;s graphics &ldquo;dated&rdquo;? All games, even the games that looked amazing when they come out eventually start to look “dated” visually. The challenge isn’t determining whether a game’s graphics have started to get dated looking but what specifically makes a game start to look dated. What parts of the game look dated today? What parts do you think will look dated in the near future? If you are talking from a "graphical" point of view, I will use the original Homeworld as an example. When the game was first released back in 1999 the graphics were awesome, because that was pretty much the best anyone could do with the hardware of the era. There was no comparison back then. HW was the best. Back then most systems were running Pentium II's, and 1st gen AMD Athlons that basically broke the 1 ghz barrier the year before. 1 gig of ram, and a 256 megabyte video card was considered "high end", and Windows 98 was the the primary OS at the time. Homeworld itself had limits. Meshes that were no larger than 700 triangles. With many under 200 tri's. A simple (and very non intrusive) UI. Homeworlds main drawback graphically was its hard coded memory limit for textures. Which was 32 MEGABYTES. There was No per pixel shading. No normal, or bump mapping. No shadows. Yet the game still looked beautiful, because the developers found ways to "work around" these drawbacks. Good game play was a big plus too. By 2003 Hardware has advanced enough to where "Hey! We can create better 3d scenes!" With per pixel lighting, shadows, etc. etc. Homeworld 2 is a shining example of how the hardware of the time has advanced enough to add these new features. The differences graphically between Homeworld, and Homeworld 2 is like night , and day. Hence Homeworld became "dated", because that game does not have those features, and does not look as "pretty" as Homeworld 2. Unfortunately HW2's game play while itself is good. It is not as good as the original IMO. The point is a game can be "timeless". I still play Total Annihilation, Homeworld, and Homeworld 2 to this day. Yet people "always want more". They always "want better". It is a "Keep up with the Jones's" mentality in the PC gaming world. An insatiable appetite. As hardware evolves so will software, and sooner, or later it will translate into PC gaming. Your game can be great, but no matter how good your game looks "There is always a bigger fish". I will be more direct. The map is the primary problem. There's a huge difference in the visual quality of the ground, mountains and forests compared to contemporary games such as Warlock and Civ5. Those games' maps look significantly better. The only part of the map that looks up-to-date are the chasms. So that's probably the benchmark for what looks "dated" right there - what other similar games released around the same time manage. Of course people are dumb and may never appreciate why a tactical battle like FE (with several hundred units) can't have as good unit graphics as the latest Might and Magic (20 units). Those are ultimately the sort of comments you have to sort out. Also I know you took a huge performance hit from having customizable units instead of non-customizable. Another aspect dumb people may not appreciate. I think what will look dated soon, if not already, is the vast customization options for characters that rarely show up anywhere. I'm talking about hair and clothes primarily. Although you obviously put a lot of effort into making them, the attention to detail per model feels low overall. Low polycount, textures are very bland to allow for transparent texture colouring. This even becomes evident when you look at older content from E:wom and compare it to new content in FE:LH like the undead champion's robe. Another thing that is starting to look dated is spell effects. They need to feel more like solid 3d modelled animations and less like random bursts of sprites. Look at the animations in diablo 3, for example. To answer the title of your post: Low polygons with poor textures and effects in a 3d environment. Specifically for LH: Cities, Rivers, resources, basically everything is justified to the squares of the map. This is definitely dated and it feels lazy. Also the biomes should be more interesting and contrasting, each one should have its own effect on the game, and there should be more of them. Definitely the character models and the water stand out to me as being "dated". While the map features are as well, the character models and water have always stood out to me as "in need of love". Looking at that screenshot, though, there is a distinct lack of flair to the map. The grass is just green tile, the trees have no real detail and the barren tiles just look...yellow. I'd like to echo what's been said already; it's the map/landscape items that need most love - a player spends most of their time in-game looking at the sweeping landscape. Playing through my first game of FE:LH since I tried EWOM post-release 4 years ago; a striking thing is that the fine quality of the 2D art in backdrops (for 3D customised units, or leader picks) shows up the landscape assets that appear in the 3D environment itself. Unlike some others on here, it seems, I really like Elemental's art style - but it would be great if the map trees looked like real gnarly, verdant or dank forest, for instance. And the sea like the kind of dark roiling expanse Elemental looks like it should have, with a craggy shoreline. All that said, an obligatory repetition: None of it matters in the face of the gameplay - I still play MOM, teehee. And FELH is fantastic - I have no doubt I'll be playing it almost as long, woolly-looking trees or not. I see the town graphics as superbly detailed - same goes for the unit graphics (unless you zoom in too close, but I'd still prefer to be able to) - I think for unit graphics Variety is more important than overall quality - it would be nice to have even more options available for unit appearance customization, especially at the mid-game chainmail-wearing stage. Can I mention the UI? Having an interface that doesn't scale, with buttons that are too tiny and text that's hard to read really make it feel unpolished and old. There isn't much graphical feedback when something is highlighted or selected. Some areas use simple boxes or graphics, but lack any intentional art flair found in other games of this type. When you spend so much time with the UI as you do in a long strategy game, having something appealing to look at and useable makes a huge difference in the overall datedness. I'd also echo that some of the art assets (unit hair and clothing in particular) makes the units look old timey. Getting a graphical redo would definitely go a long way to cutting away the negative perceptions and could effectively relaunch LH if prettied up enough. the most difficult aspect of reality to emulate, and most processor intensive, is not the detail, but the movement. we are constantly in motion, and subsequently so is everything in reality; in the most intricate ways. the reason we're talking about video games and not board games with photographs is because the most fun parts of gaming are the interactive movements, not the emulated detail of static objects. the underlying law of physical reality is that everything is in motion, nothing is actually standing still. everything really is stylized by the movements of our minds & psychologies as we interact with it - a lucid dream if you will... like games. video games really just boil down to psychological interactions as well. static is boring, dynamic is captivating. user experience is everything. art direction just needs to clearly reflect the intended psychological experience, and it needs to be well animated. look to all the greats of the 16 bit era, like nintendo, that are still beautiful today. nintendo really gets it... practically everything they did for the snes, n64, gba, and gamecube still looks wonderful today, especially the zeldas (wind waker!) - because of the stylized art direction, and the movement! hell, look at minecraft, or hero core, or heroes of might and magic 2, or all the great old pc adventures, for games that truly embody these principles. Not graphics per se, but squares look dated. Go hexagonal! Edit: Also my old post about placing objects on the ground is still relevant, at least to some point. I'm easy. If I can see the individual pixels that compose the objects in the game, I would consider a game dated. The part that really stands out to me as looking dated would have to be the character facial textures when using the unit design feature. The faces of the male and female models look really unattractive. This is especially noticeable when selecting a pose for the unit portraits. The way some of the armor is drawn is a bit off-putting as well. I can see that contributing to the dated feeling in the future. To be a bit more specific. The bulkiness of the chainmail armor gives it a look that is a bit more 'heavy' than plate. I'd like to play a wildcard (if you will). Does Minecraft look dated? Minecraft started with dated graphics. Does a pixel art game have dated graphics? Yes. If someone wrote a game with the old CGA graphics, just because it is new or popular, does not mean the graphics are not dated or one cannot enjoy the game. The rendering of the graphics may be new, but the graphics themselves are dated. Look at Starforge and compare it to Minecraft graphics. Take some of the texture packs for minecraft and look at the differences. The term dated graphics is closer to the feeling "I'm tired of these graphics." The term dated implies that the current possible graphics that can be implemented are being implemented. By this standard, all games have dated graphics. But, I feel the question in the Original post is more along the line of when does a games graphics need to be updated in order to keep that fresh look for the game. Minecraft started with what I would consider dated graphics when it first arrived and still has dated graphics to this day. But the aesthetics of the game are consistent and makes the dated graphics not a prevalent matter. Now, as you play the game and get tired of seeing the same graphics, this is when the game needs to build up its freshness. Expansion packs updating or adding a few new blocks, textures, small enhancements would produce a fresh look and refresh the dated (I'm tired of these graphics) feel. It provides another layer. With FE:LH the graphics are in a particular aesthetic look and there are things that feel dated. The terrain, looks all the same anymore a little addition of texture or variance of the landscape would produce a new fresh look removing the dated feeling from that particular area. Refining the hair textures or tatoos, adding a few facial graphical features, would remove that look. The UI is a good indicator of when the graphics are dated. If the interface doesn't match or keep up to date with the modern look, the game will feel dated including the graphics. The font change to the UI in FE was a big one, and made the interface not feel dated, and overall produced a more modern looking game. Number of polygons: If two games do the same thing, but one has more polygons (and assuming the artists are just as good), the other will have a dated look. Art style: I personally loved the old 2D graphics. 2D games at 1999 managed to beat graphic-wise the 3D games of 2005 in terms of how good they look. Nowadays, the old 3D games look terrible, and 2D still just looks outdated. Complexity of objects: If a battleship used to look toward the enemy, and suddenly a fiery hell will shoot out of it, we now expect to see the turrets move, target the enemy individually, and each one shoot. Details: Using the battleship example again, when it being hit by the enemy fire- an old game will have the shots disappear, or have a general "battleship has been hit" effect. We now expect to see an explosion when the missile hit, and air flowing out from the breach, etc (or well, in a the near future). In regards to FE, while it does not compete in art style with other games (it's quite unique, for good and bad), so we can't compare polygons, I'm not sure I can say that the art style look "current". 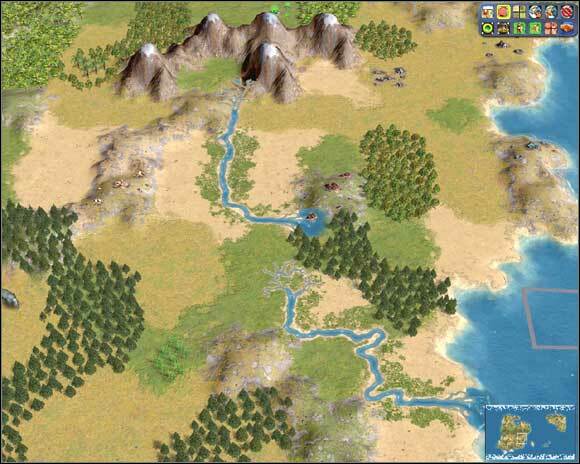 In terms of complexity, there's a dated look when people compare to other games such as total war (in tactical), or the world when compared to civ. Some of it comes from the whole customized units part, but it's easy to forget. FE strongly fall on the Details part though. Just concerning the picture that came in the post: the water/beach looks like someone took a saw, cut a piece of land, and put it in some blue ooze. Inconsistent shadowing- looking at the units and the bare trees at the buttom, we expect that the general light's source comes from up and north. The city, forest and the treasure site do not have a shadow, though. Beside that, the world looks as if it's built on squares. comparing the forest/plains border, it looks as if someone told the trees to stop. While I didn't notice all of this, this is what came up to my mind when actually thinking about it. Part of it is choice, but part of it is what makes the game looks dated. I think Raledon hit most of what I was going to say here as well. In addition to what was said in that post I have the following to say for characters. I actually talked to my wife about this as she often looks over my shoulder when I played Elemental, FE, and FE:LH; and each time she would say the characters were ugly. When I specifically asked her what it was that made them that way she said there were two main things. The first being that the facial proportions were very off making everything look like a "potatoe face" and the facial choices were terrible. The second was that the cell shading used for the characters made them look bad, which is strange because it works for the monsters and ghost looks. Judging by that picture only, since i never played the game, its not really the prettiest game, is it? Sorry to say that. I wonder what is the reasoning behind using cell-shading tech...it makes the game to look sort of 2D-ish...surely if you wanted 2D game, you could achieve far better looking result with sprite based graphics. So in my humble opinion, the issue is more with the overall stylization and art direction than with actual tech being used in this particular case. Anyway, one thing i consider truly important myself for the game visuals, is the proper lighting. You can get away with weaker texturing and cheat with lower-poly models, but if the scene is poorly lit, no hiding that... thats why Homeworld 2 looked IMHO better than the first iteration of Sins from 2008, unlike Sins it had selfshadowing. In case of Legendary Heroes, is there any lightning at all, LOL? I see some weak shadows there, but overall it looks dull and unrealistic. Even stylized graphics can be helped with proper lightning, look at the Planetary Annihilation, while the models and textures are pretty basic, the sunlight and shadows make it look like battle of LEGO models, rather than computer graphics. I think THAT should be the target. I realize its not easy to "simulate" the light to look almost life-like, for that i guess you need path-tracing anyway, but the closer you get to fake the results, always the better. Going for realism, especially 3D, is the quickest way to look dated. Cardinaldirection hit it on the head, you need stylization and great art direction throughout the entire product. Games will always start to look dated the moment they are released, but with great art direction the can still look good a decade or more later. When looking at LH specifically, you are mixing cell shaded and non cell shaded objects. Cities, players and dead trees are cell shaded, then you have foliage that goes for a more realistic look. On the left of the picture shown you can see a distinctive difference between the cell shading in the trees and that of the stones on the ground. The food source in the upper right has no cell shading whatsoever. Lighting is directly above for terrain, off to the side for units, and completely missing for some foliage (see shrubbery near army in picture). The other areas that make LH look dated would be the flat, plain terrain (which I believe you have already looked into fixing the flat terrain), and the lack of detail in the units. While I know why the units are fairly bland, due to the customization possibilities and the distance of the camera most of the time, that doesn't make them any less plain. Elementals cell shaded look was never very impressive from the start. Realism might look dated earlier but still looks great for most of the products lifespan,ala Shogun2 still looks great and all DLC is done. In order to have a AAA look the title's will need a AAA budget. Dated Graphic's mean little when compared to great game play. Dated Graphic's are graphics that are well in the sega era of graphics. That's dated. My opinion is that if the art is good, the graphic's will never matter. Sometimes you keep coming back because you love that art style. You wanna know what out does graphics at this point. Really good 3d. It's like movies, too though it your using black and white no one's gonna wanna watch it, it doesn't mean that it's not good. But no one is gonna watch it. Like how far back do you go to watch a movie? And that's how know what's dated and whats not. I think i'll go back to when i was born, and a few years more sometimes. I wanna watch Nosferatu it's black and white. lol. I mean sometimes it's just the idea. Nosferatu draw's you in cause of the creepy looking vampire makes you wonder. Cause it was the artist side of it. Jaw's always pulls you back in cause it's Jaw's. Graphics mean little if the gameplay is not up to snuff. You can get away with inferior graphics if the gameplay is truly good, Distant Worlds, Terraria, Faster Than Light. Luckily Elemental has very good gameplay and although it is pritty enough it is not the selling point behind the game, make sure you focus on what makes the game good. As for what look sub-par in Elemental it is hands down the characters/armour and trees. A game with really solid art direction can usually remain pretty timeless. Look at a game like Wind Waker or Mario Sunshine. Graphically they're not hugely impressive but because of their strong art direction, they still look amazing! Same reason why games like Borderlands will age so well or even Wildstar for that matter. Dated? Much more important is that graphics are, hm, nice. Take a look at Drakensang: River of Time. The graphics are nothing special technically-wise. However, with few simple effects, the game developers and artists achieved a splendid atmosphere and amazing immersion. The game looks just beautiful. When it comes to graphics, I think FE:LH looks simply unfinished, just rushed out of the corner. I think the problem is mostly that 'dated graphics' generally means that the game looks 'weird'. Also with the release of many DX11 games this problem has become increasingly exacerbated. Every single DX11 only game has elicited cries of "this looks like garbage why does it need DX11" or "I can run BF4 at 100FPS why can't I run Tropico 4" or other such ignorant nonsense. IT's more or less that unless 'stuff is blowign up constantly' the game is 'not demanding'. Or with UE4, where the lighting aspects of the engine are the really key elements, but yet games like Daylight come out and it's "this game blows why does it need DX11 or UE4". even though I am new I wanted to chime in on this. I think personally "visual variety" makes a game look dated or not. If what I see is repetitive and gives me no unique visual anchors it will quickly seem dull and with that dated. 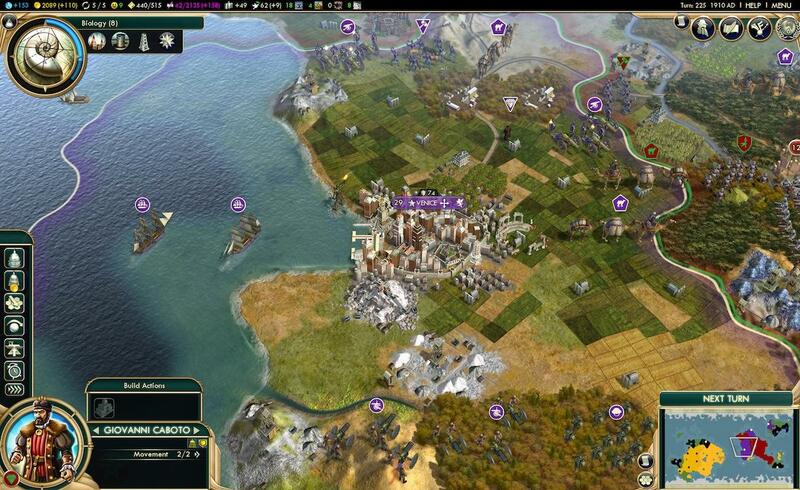 Look at CIV 5 for example, it has been a while but I feel it looks sharp. The UI has style and flair, the landscape looks organic even though it is hexes. Cities look like they are organically grown and due to wonders, culture etc each city looks a tiny bit different. I would say it is "Satellite Realistic" and not Photorealistic. 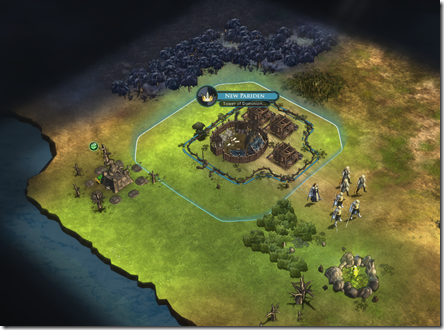 I do not expect a Stardock game to look like this, but a more organic, less square look to the landscape would be great. Even Civ IV does the organic look better then elemental in my opinion, even though it looks a bit dated now due to the lightning. And that was using squares also wasnt´t it?. As much as I like Civ 5's map graphics, they are soooo frickin slow to load. When you see white instead of map texture until the game has a chance to load, that's a sure sign that the game is hugging the bleeding edge of technology instead of making a reasonable compromise between quality and what quality you can paint on screen before the user scrolls. I mean, how hard would it be to load textures predictively based on the direction the user is scrolling? I guess Firaxis are not bringing their A game any more.